Qty:48pcs = 24pairs. Style: crystal stud earring. 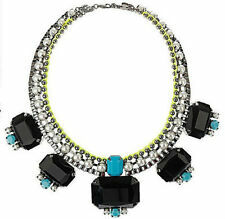 Material: Plastic & rhinestone. Color: clear. The money you paid to us do not include custom fees. 3: Colors on your computer monitor may differ slightly from actual product colors depending on your monitor settings. 16-19cm equal to us Size 5-9. (Randomly sent!). Quantity : 30PCs. 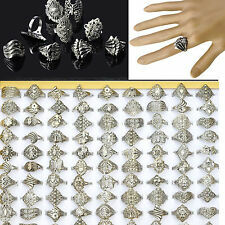 including Rings,Necklaces,bracelets/bangles,Jewerly sets.hair jewelry.Body jewelry,Toe rings,Earrings.and so on. Type: Jewelry Ring. Upon final approval we can list it for you. I will be always honest with you. (3) Quantity: 30pcs. 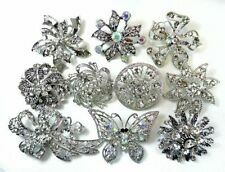 1）Material :pretty rhinestone silver Plated. 4) Rings only, the display pad is excluded. 2）USA size :5#-9#. 6) Condition: New. Sizes : 16-17-18-19-20-21-22mm Mix. box not include. (Colors: Mix Colors. Material: Stainless Steel. Style: Mixed Styles, send random. Step 2) Provide as much detail as possible about the problem you are having. 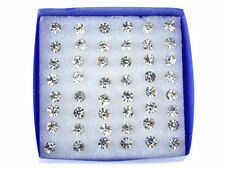 Size: 16mm-17mm-18mm-19mm-20mm-21mm-22mm, US sizes 6-7-8-9-10-11-12. Size: 16-17-18-19 20mm mix, US 6 7 8 9 10. we will do my best to solve the problem. Quantity:12 pairs. Type: fashion gold plated chandelier earrings. Style: mixed styles, randomly send. Color: golden, see the picture. The money you paid to us do not include custom fees. Amount:110 pieces. We will do whatever we can to make it right for you. there is no extra fees ,very fast ! Quantity: 24pcs. Material: Stainless Steel. Size (App): Chinese size 17-21. US size 7.5,8,8.5,9,9.5,10 (Randomly mix size). 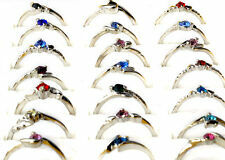 50-piece lot 18 gauge soldered closed White Gold plated brass wire jump rings. Machine made out of brass wire, soldered closed. Use crimp beads to attach this clasp ring to "Beadalon" stringing wire or a split ring or jump ring to attach to a length of chain. Charm size: as pictures show. Amount:180 pieces. We will do whatever we can to make it right for you. there is no extra fees ,very fast ! Amount:280 pieces. We will do whatever we can to make it right for you. there is no extra fees ,very fast ! Amount:74 pcs. We will do whatever we can to make it right for you. there is no extra fees ,very fast ! We will do whatever we can to make it right for you. Amount:36 pcs. there is no extra fees ,very fast ! There is no extra fees ,very fast ! Amount:30 pieces. We will do whatever we can to make it right for you. Amount:75 pieces. We will do whatever we can to make it right for you. there is no extra fees ,very fast ! There is no extra fees ,very fast ! Amount:100 pieces. We will do whatever we can to make it right for you. 20 X Rhiestone Rings Not include box. jewelry,Toe rings,Earrings.and so on. 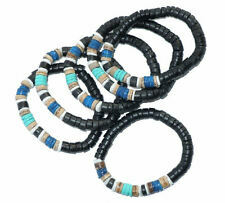 including Rings,Necklaces,bracelets/bangles,Jewerly sets.hair jewelry.Body. Upon final approval we can list it for you. Size: 17-19mm. We will do whatever we can to make it right for you. there is no extra fees ,very fast ! There is no extra fees ,very fast ! Amount:60 pieces. We will do whatever we can to make it right for you. There is no extra fees ,very fast ! Amount:80 pieces. We will do whatever we can to make it right for you. There is no extra fees ,very fast ! Amount:18 pieces. We will do whatever we can to make it right for you. There is no extra fees ,very fast ! Amount:70 pieces. We will do whatever we can to make it right for you. Material: lampwork glass. 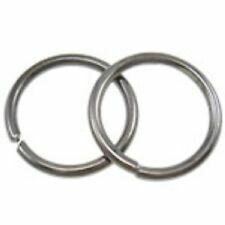 Size: 12mm, 1.5mm hole. We will solve problem for you friendly and quickly. Color: as shown in picture(actual color might be slightly different due to monitor setting). Your patience is much appreciated! Colour: antique copper, nickel free. We will solve problem for you friendly and quickly. Your patience is much appreciated! Size:11mm tall; 10mm wide; the leaf can be easily bend. We are here to work with you and make you happy! 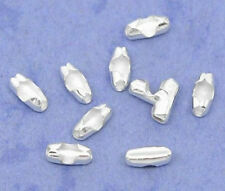 Each link is about 5mm long,3mm wide,0.6mm thickness; flat link; unsoldered. Simply add a light weighted pendant to make a beautiful necklace. We are here to work with you and make you happy! We will solve problem for you friendly and quickly. 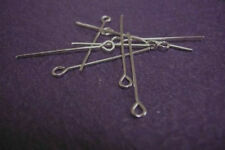 SIZE: 9x7mm. QUANTITIES: 100pcs. we will respond within 24 hours. And if you have any. Amount:120 pcs. there is no extra fees ,very fast ! We will do whatever we can to make it right for you. Amount:33 pieces. We will do whatever we can to make it right for you. there is no extra fees ,very fast ! There is no extra fees ,very fast ! Amount:21 pieces. We will do whatever we can to make it right for you. Material: Paper Velveteen. 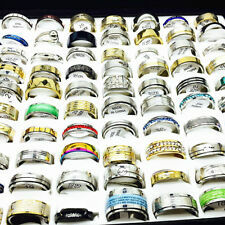 Note: there are 6 rows on this display, and each row can hold 10 rings more or less. Second picture is sample display only, ring is not included. We will solve problem for you friendly and quickly. Amount:45 pieces. We will do whatever we can to make it right for you. there is no extra fees ,very fast ! PRODUCT DETAILS. Amount:104 pcs. We will do whatever we can to make it right for you. there is no extra fees ,very fast ! QUANTITIES: 20pcs. Also, the color may vary ever so slightly because each batch of beads cannot be exactly identical. ___________________________________ _____________________________. Materials: tibetan silver. Color: as photo. Amount:560 pieces. We will do whatever we can to make it right for you. there is no extra fees ,very fast ! Qty: 10Pcs. Materials: Velvet. Color: as photo. approximate Size: 35mm. Between us can use kind, forgiving way to solve any problems. We are sincere and everybody to establish good trade relations! We will in 24 hours to give you satisfactory reply. If you has any problem in trading. 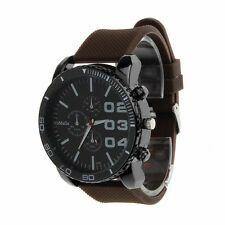 Material : alloy. We will in 24 hours to give you satisfactory reply. If you has any problem in trading. Dear friend: hello! 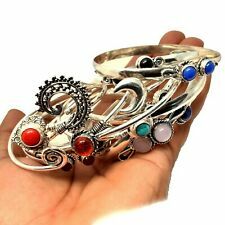 20 pcs Tibetan silver ‘blessing“ charms pendant Suitable for charm bracelet. material : alloy. color :bronze Based on the picture. We will in 24 hours to give you satisfactory reply. USA ,Canada, Australia, UK,France,New Zealand,Japan,Malaysia, Philippines, Singapore,Denmark, Finland, Greece, Ireland, Italy, Norway, Portugal, Spain, Sweden, Switzerland.